If you’ve ever dreamt of walking on water, here’s your chance. 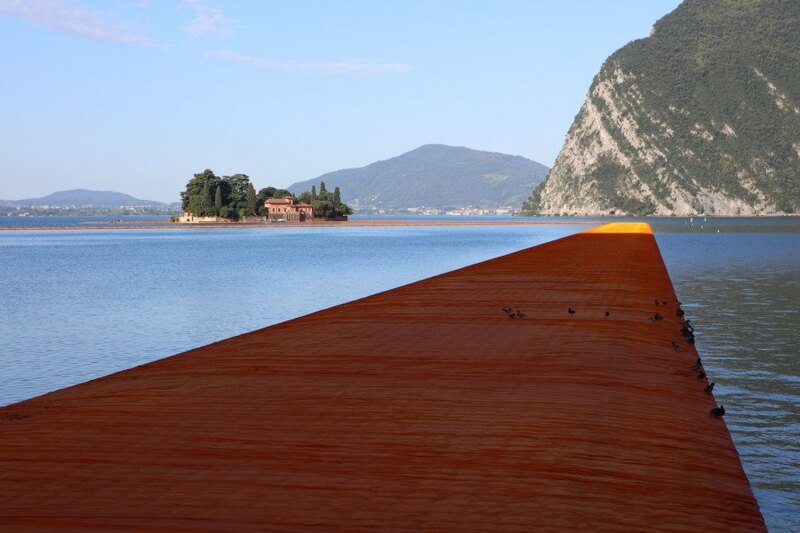 Environmental sculptor Christo has unveiled The Floating Piers, an eye-catching orange walkway that spans Lake Iseo in northern Italy. Made from stain-resistant fabric, the nearly two-mile-long temporary bridge allows visitors to walk from the mainland to two small islands in the lake. Like his last large-scale project The Gates, which comprised thousands of fabric gates that Christo—his full name is Christo Vladimirov Javacheff—and his late wife, Jeanne-Claude, installed across Central Park in 2005, The Floating Piers features the same vibrant saffron color and is funded entirely by the artist’s sales of original drawings, collages, and other artworks. The $16.8 million project was a massive feat to complete with involvement from French deep-sea divers and Bulgarian athletes to engineers and local officials. The floating walkway comprises a waterproof and stain-resistant saffron-colored fabric draped over 220,000 floating polyethylene cubes installed to form a 53-foot-wide spine. “It’s really a physical thing, you need to be there, walking it, on the streets, here,” Christo said. “And it’s demanding.” The experience of walking on The Floating Piers reportedly feels like walking on a gently swaying boat. The art installation is free to the public and is expected to attract approximately 40,000 people a day. Lifeguards, boat hands, and other officers are present in case of accidents or emergencies; the Floating Piers has no railing and floats less than six inches above the water’s surface. The art installation will stay on the lake for 16 days until July 3, after which it will be dismantled, recycled, and resold. 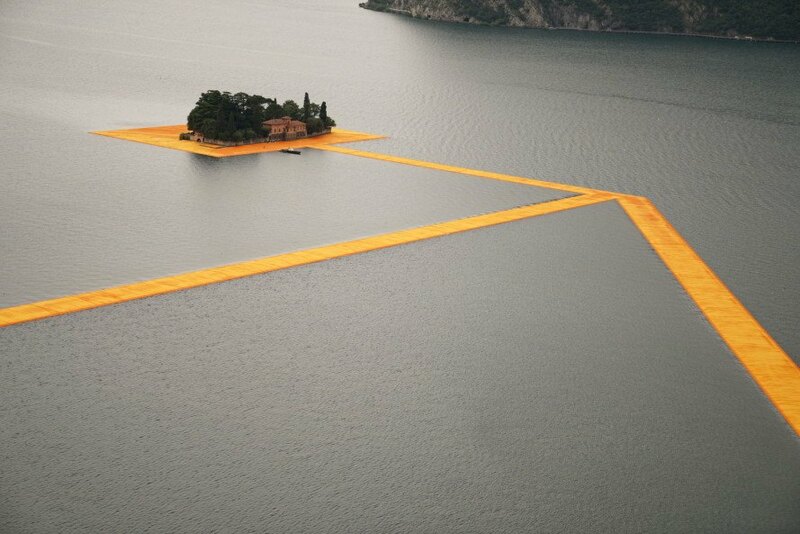 The Floating Piers features the same vibrant saffron color and is funded entirely by the artist’s sales of original drawings, collages, and other artworks. The $16.8 million project was a massive feat to complete with involvement from French deep-sea divers and Bulgarian athletes to engineers and local officials. The floating walkway comprises a waterproof and stain-resistant saffron-colored fabric draped over 220,000 floating polyethylene cubes installed to form a 53-foot-wide spine. The experience of walking on The Floating Piers reportedly feels like walking on a gently swaying boat. The art installation is free to the public and is expected to attract approximately 40,000 people a day. The art installation will stay on the lake for 16 days until July 3, after which it will be dismantled, recycled, and resold.